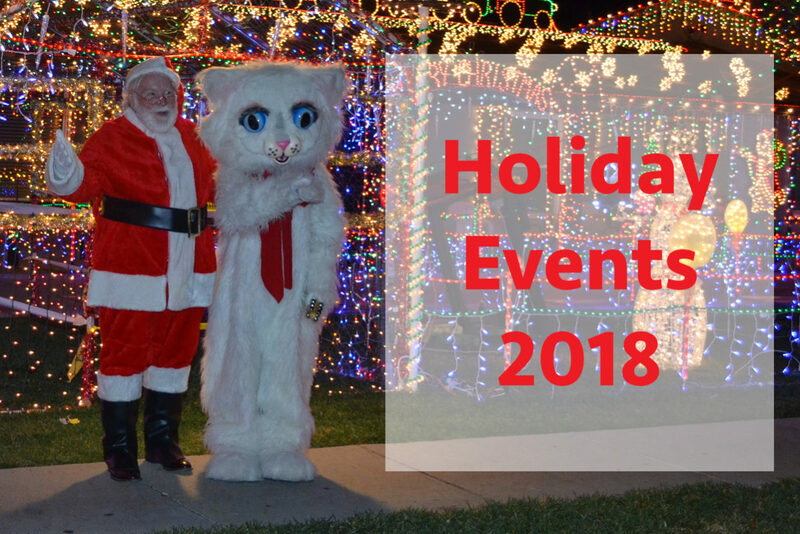 There’s nothing like the Holiday Season here in Boulder City, so here is the rundown of all the events that kick off the fun for this year, starting on Thursday night! November 29th at 6pm in the Parks & Rec center gymnasium (900 Arizona Street) where the Boulder City United Methodist Fellowship hosts the Boulder City Liminaria and Las Posadas. There will be local school choir performances, a living nativity and Christmas carol sing-a-long. Hot cocoa also served. After, head up to Frank Crow Park (537 Cherry Street) for the 6pm lighting of the Community Christmas Tree, where you can also enjoy live entertainment and hot chocolate. The 1st ever Pancake Breakfast with Santa will be held at the Boulder Dam Brewing Co. (453 Nevada Way) to have your picture taken with Santa from 8-10am. All donations will help needy folks locally in Boulder City. The local PEO Sisterhood Chapter K hosts their 40th Annual Holiday Bazaar on Saturday December 1st from 8am – 2pm at the St Christopher’s Episcopal Church, (812 Arizona Street). The 44th Annual Doodlebug Bazaar at the Parks & Rec. Building (900 Arizona Street) runs Saturday, December 1st from 9am to 4pm. It features a variety of homemade items: clothing, jewelry, decorations and more. Also at the event from 11am to 2pm you can get your picture taken with Santa. Come to the Boulder City Historic District on Nevada Way, and beginning at 4:30pm is one of the highlights of the season for Santa’s Electric Night Parade as spectacular floats, bands and all kinds if fantastic spectacles to put you in the Holiday Spirit! Head to Lake Mead at 6:30 pm for the Parade of Lights on the water, featuring local boats decorated for the season, as well as Lake Mead Cruises.